Pan African Institute for Global Affairs and Strategy is partnering with the National Youth Service Corps (NYSC) to end illegal migration of Nigerians, Institute’s President, Dr Martins Uhomoibhi has said. Uhomoibhi, who said this during a visit to the NYSC Orientation Camp in Kaduna on Tuesday added that, the institute was concerned about the rate in which many Nigerian youths risked their lives travelling abroad illegally to earn a living. “No one is against anyone going abroad but we want to encourage that you travel through the right channel. “There is a process of travelling by going to the embassy and getting your visa. “Nobody should deceive you by collecting your money with which you can start a business here and make you travel through the desert in search of greener pasture. “When you travel illegally, you will be dehumanised and exploited,’’ he told corps members at the camp. According to him, the partnership would help sensitise NYSC members on the dangers of human trafficking and illegal migration. 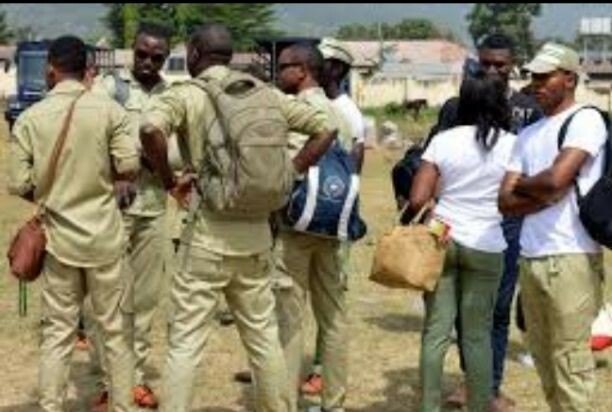 “The aim of this partnership is to launch the NYSC vanguard against the ugly trend and get volunteers among corps members to take the message to all the local government areas in the state,’’ he said. He further added that, 68 percent of more than 9,000 people that died in 2017 through illegal migration were graduates. “Illegal migration signifies lack of self-esteem and is responsible for many untimely deaths in the desert and the Mediterranean Sea in desperate bids for jobs overseas”, he stressed. The Kaduna State Coordinator of NYSC, Alhaji Dahunsi Muhammed, appreciated the organisation saying, the partnership was timely. He however urged corps members to take the campaign on the devastating effects of illegal migration seriously.